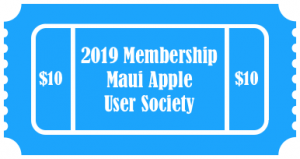 Following our Annual Meeting of the Members, we will discuss Mavericks OS X 10.9. It has arrived, and it is free. Join us this month for an on-hands look at the new operating system. We will take a look at some of the cool new features along with some hidden features as well. As always, we will save time for your Mac and iOS questions. For directions to our meetings, click here.